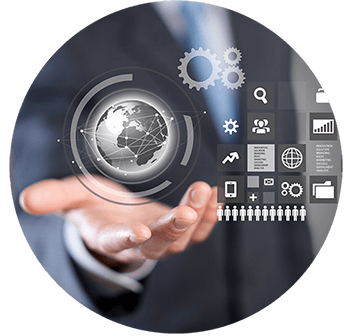 Automate fundamental accounting processes, including journal entries, accounts receivable, and accounts payable. Manage cash flow, track fixed assets, control budgets, and monitor project costs with higher accuracy and efficiency. Simplify the management of your fixed assets with a virtual function that eliminates the need for repetitive manual data entry. Process reconciliations, bank statements, and payments faster through various methods, including checks, cash, and bank transfers. 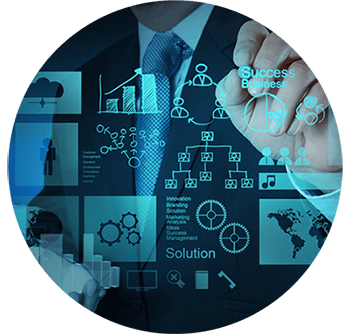 Create standard or customised reports from real-time data to improve business planning and audit review processes. Oversee the sales process and customer lifecycle more efficiently, from initial contact to final sale, after-sales service, and support. Track sales opportunities and lead activities throughout the sales cycle, from the first contact to deal closing. Create, manage, and analyse marketing activities to turn prospects into customers and grow sales and profitability. 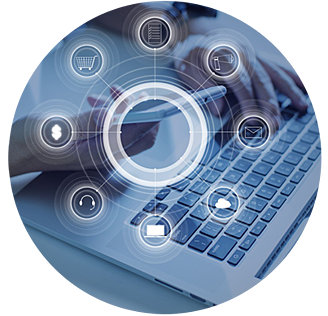 Store critical customer data in one place by synchronising and managing customer contacts stored in Microsoft Outlook. Craft and manage warranty contracts and service agreements efficiently. Enter and respond to service calls quickly. Design detailed reports on all aspects of the sales process, from forecasting to pipeline tracking, using templates. Empower your sales organisation to manage information on the move anytime, anywhere, on any mobile device. Manage inventory in multiple warehouses and locations using FIFO, actual by lot/serial, moving average, or standard costing from a central module. Manage inventory by bin location in warehouses. Implement serial and batch number management to track goods through the inventory cycle. Maintain multiple units of measure and item prices in local and foreign currency. Record goods receipts and goods issues. Track stock transfers between warehouses. Enable consignment, drop-ship, and back-to-back orders. Use the pick-and-pack to fill deliveries. Perform inventory cycle counts to avoid full physical inventories and stock-taking delays. Create and maintain multilevel bills of materials (BOMs) containing items, resources (capacity), and text (instructions). Issue and release production orders manually and by backflush. Maintain prices for BOMs at a global level. Forecast material requirements using a wizard tool. Choose from a variety of report formats (e.g., PDF, Microsoft Word, Microsoft Excel) to display standard reports or incorporate them as dashboards. Use predefined templates to generate reports, including inventory status, audit, and production reports. Generate advanced reports using a report designer and integrate custom queries, parameters, formulas, and layouts. Make fast and effective management decisions using detailed reports on stock transactions and inventory valuations, inventory counts, BOMs, production planning, and material requirements. Optimise purchasing practices and control costs by managing the complete order-to-pay cycle, including receipts, invoices, returns, and payments. Streamline procurement processes, including requisition requests, purchase order and good receipts creation, and returns management. Improve audits by matching documents, viewing information trails, and handling multiple currencies. Centralise purchasing processes by managing detailed data in a user-friendly interface. View account balance and purchase analysis while maintaining detailed item purchasing information with price lists and tax information. Lower costs and optimise your supply chain relationships. Material needs and schedule purchases. 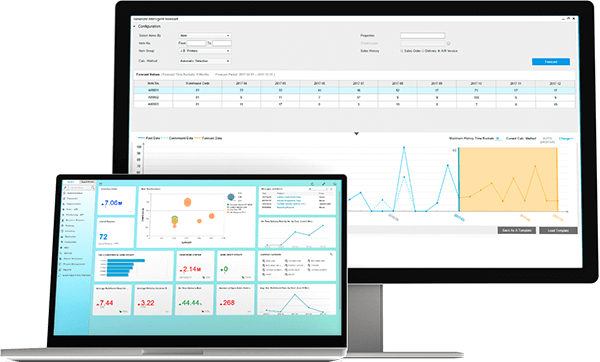 Generate integrated reports with real-time data and display them in various report formats or dashboards to gain an overview of what matters most to your business, whether you’re using a desktop or mobile device. Access data from multiple sources, create new reports, and customise existing reports in a variety of layouts with minimal IT overhead. See your business from many perspectives using SAP Business One integrated with standard Microsoft Excel functionalities. Get insights faster with the ability to drag and relate, drill down into data, and use search assistance and workflow-based alerts. Improve your cash balance visibility and sales performance with analytics and predefined key performance indicators. Make better decisions by enhancing your reports with powerful visualisations from SAP Lumira, SAP Business One edition. 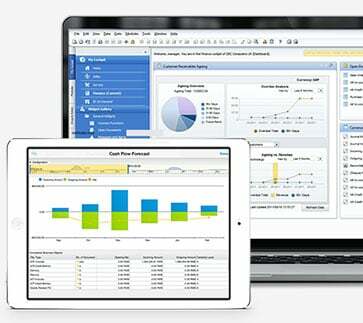 Design intuitive, interactive dashboards and reports that answer your most pressing questions. Accurately track revenues, costs, and cash flow to assess performance and take swift corrective action. Access information faster and evaluate it with powerful analytics in real time. Simplify data searching and the on-demand creation of standard or ad hoc reports. Optimise decision-making across your business with SAP HANA. Increase margins and grow your business without complicating your on-premise or cloud-based IT landscape. 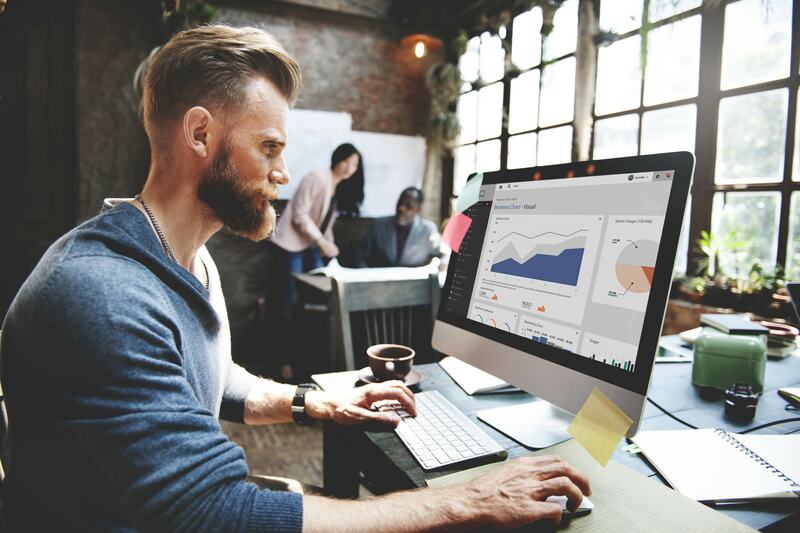 With the SAP Business One application, use embedded analytics and high-performance functionality to work more efficiently. Learn more about SAP HANA here. On-premise – Gain direct control of your ERP data with an on-premise deployment. Enable flexible reporting while complying with internal data security policies. Mobile – Manage your business on the move by instantly accessing integrated analytics for real-time decision-making anytime, anywhere, on any mobile device. Cloud – Deploy SAP Business One Cloud for a monthly license fee to extend your capabilities anytime and anywhere the business grows – without the intervention of IT. Learn more about SAP Business One on the AWS Cloud here.